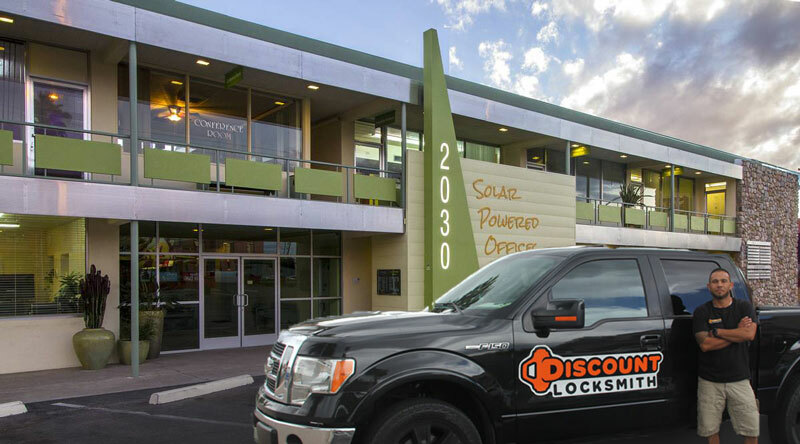 TUCSON, Ariz. - May 24, 2017 - PRLog -- Discount Locksmith LLC, a mobile locksmith company based out of Mesa, Arizona, has announced they have opened an office on East Broadway Blvd in Tucson and are now offering auto, home and business locksmith services throughout the Greater Tucson area. The company, which started offering their discounted locksmith rates in January of 2016, has rapidly grown throughout the last year in Arizona. Discount Locksmith LLC has partnered with some highly experienced and professional locksmith service providers in the area and are excited to offer their alternative business pricing model and promotions to customers in the area. With the expansion of their service and the addition of more mobile locksmith technicians they are now able to offer 24 hour, seven day a week service to Tucson. "What separates Discount Locksmith from most other locksmith service providers is our clear, up-front locksmith pricing business model." says Jerry, Director of Marketing for Discount Locksmith. "Not only does Discount Locksmith offer internet special pricing with huge discounts of over 50% off regular locksmith rates, we publish a starting price list of our locksmith services on our website so that customers know exactly how much they are going to pay for their service with a clear breakdown of the costs."